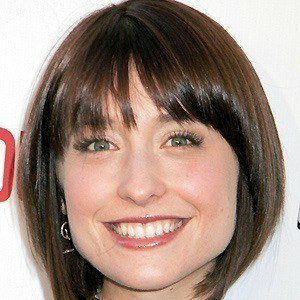 Actress and producer best known for her role as Chloe Sullivan in the television show Smallville from 2001 to 2011 and as Amanda on FX's Wilfred. She also appeared in the 1997 film Honey, We Shrunk Ourselves. She began her career modeling for children's clothes for print ads. Her first major television role was in an episode of the WB series 7th Heaven. She has two siblings named Robyn and Shannon. She had a longterm relationship with a man named Peter and the couple were even engaged for a time. She later dated Silvio Spacinschi. She appeared in Eric Stoltz's directorial debut My Horrible Year!